Sen. Jon Tester, D-Mont., grills federal law enforcement officials at a Senate hearing on missing and murdered indigenous women Wednesday. 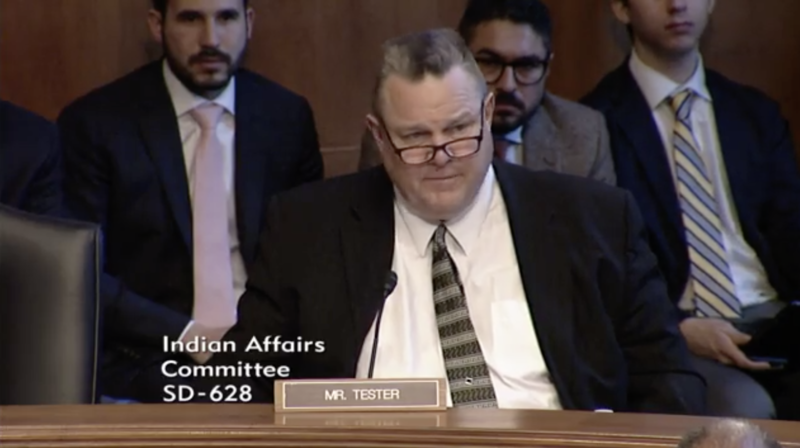 “If this was going on in any other place in the country there would be incredible hearings in this body,” said Sen. Jon Tester, D-Mont. Native American women face some of the highest sexual assault and violence rates in the nation. Indigenous activists believe they disappear or are victims of homicide at much higher rates as well. However, they can’t be sure because those statistics aren’t being tracked nationally. 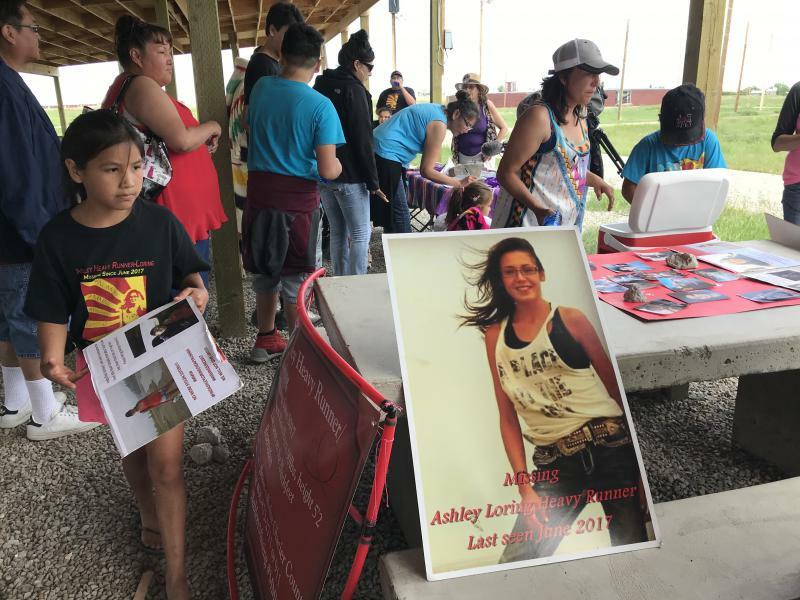 During the U.S. Senate Committee on Indian Affairs oversight hearing, lawmakers focused on the case of Ashley Loring, a 21-year-old Blackfeet woman who disappeared in Montana more than a year ago. Her sister, Kimberly Loring, said it took weeks for federal and tribal law enforcement agencies to begin seriously investigating the case. She believes if they did, her sister would’ve been found right away. “We wouldn’t have to search for 18 months through the wind and 3 feet of snow, being chased by grizzly bears, wondering, ‘Is my sister in the mountains?’” Loring said. 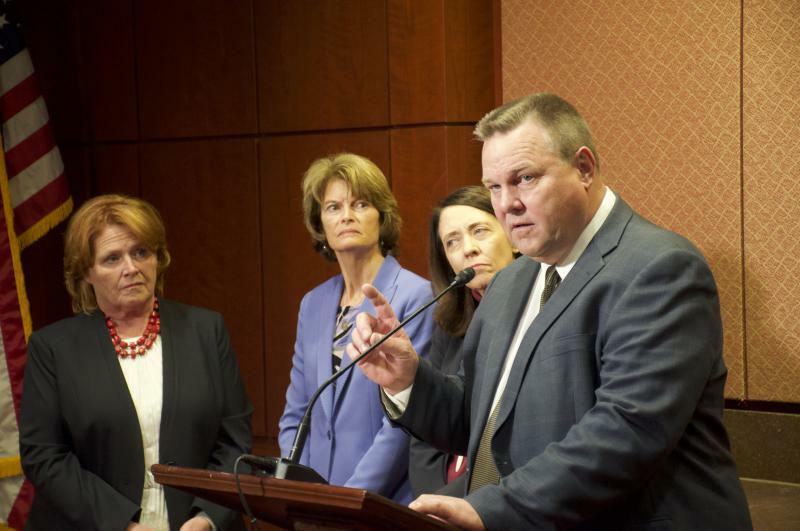 Sen. Steve Daines, R-Mont., said a recent hunting controversy on the Blackfeet reservation received more attention than Loring’s case did. “A poached deer got a better investigation than her sister,” Daines said. 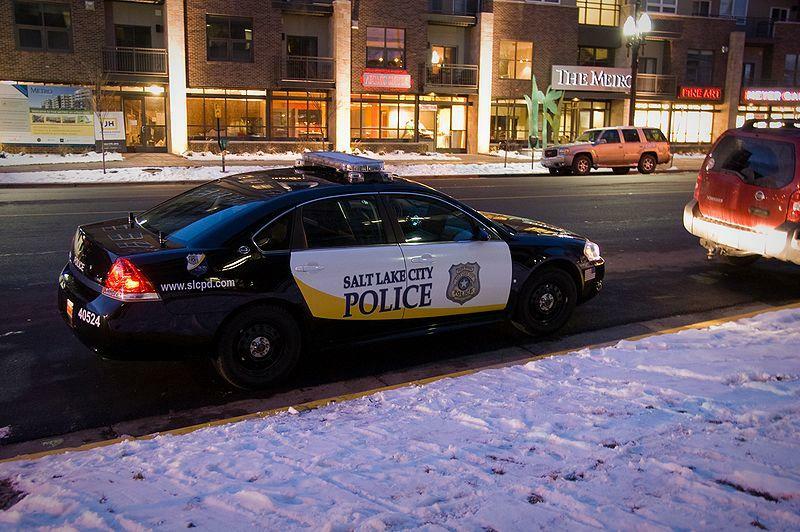 Law enforcement officials partly blamed the crisis on confusion over which agency is responsible for solving missing persons cases on reservations. Multiple state, federal and tribal agencies have varying degrees of jurisdiction in Indian Country. The U.S. Senate Indian Affairs Committee will discuss on Wednesday landmark legislation that aims to address the crisis of missing and murdered women in Indian Country. The 2013 Violence Against Women Act is due for a reauthorization by Congress so it can be funded to continue lifesaving services for shelter programs and coalitions nationwide, especially on reservations. A recent bill that would have done so only received Democratic votes and is now stalled. But Republicans did step in at the last minute to keep the act funded by including it in an appropriations bill called the Continuing Resolution or CR. Amber Alerts are messages sent over the radio, internet, television, and text message to notify the public when there is a child abduction emergency. These alerts can be powerful tools to locate a missing child. But right now, the Wind River Reservation doesn’t have that service.